The Telegraph, one of the UK’s largest newspapers, has taken up the challenge for a referendum on the ratification of the Lisbon Treaty, otherwise known as the EU constitution. They have been joined in their efforts by a certain Mr. Stuart Wheeler who has asked the courts to take a look at the circumstances surrounding this proposed act of what many see as treason. It would appear Mr. Wheeler is about to throw a very large spanner into the parliamentary works. As the Government embarks this week on its concentrated procedure to persuade Parliament to approve ratification of the EU Reform Treaty, to which Tony Blair and Gordon Brown have already committed the United Kingdom, Stuart Wheeler, who founded the spread-betting group, IG Index, is preparing a determined challenge in the courts to confront the EU constitution head-on. Which basically sums it all up. The present Labour government, which received the hiding of its life in the recent local elections, promised a referendum before going to the last general election. It has reneged on that promise and is preparing to ratify the EU constitution without the consent of the people. As previously stated, many regard that as treason. Frankly, so do I. For any country to hand sovereignty over to that pack of unelected, unaccountable, irremovable thieves and scoundrels that make up the EU is simply outrageous and must be fought with tooth and nail. Not wishing to steal anyone’s thunder I feel it fair to point out that this article in the paper was written by John Gouriet, who was a co-founder of the Freedom and is Chairman of Defenders of the Realm, which challenged the Nice Treaty in 2003 and with This England Magazine raised 1,125 million signatures in 2004 to petition the Queen not to grant assent to an EU constitution without support of the majority of the electorate. I daresay he will be sitting beside Mr. Wheeler in the court. How the courts will view this is anyone’s guess, but the courts are fickle and not bound by parliamentary codes of conduct. Three line whipping won’t reign in a judge. The freedoms of the people and the countries of England, Scotland and Wales are protected by archaic laws that go back to Magna Carta. One does not simply give these freedoms away in the name of left wing politics and the ever encroaching EU. 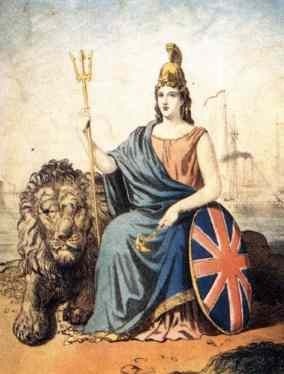 If the people make enough noise on behalf of dear old Britannia, then it may just go the right way. I wish both the Telegraph and Mr. Wheeler every success in their campaign. If the people of the UK say no to the Lisbon Treaty then it is dead on the spot and a referendum is the only thing likely to be able to kill it. Goliath, prepare to meet David. This isn’t over yet. In fact, far from it. This entry was posted on May 4, 2008 at 12:41 am	and is filed under Generic. You can follow any responses to this entry through the RSS 2.0 feed. You can leave a response, or trackback from your own site. Give Free Europe a chance. Vote YES at http://www.FreeEurope.info ! Henry Nitzsche explains the drawbacks of the Lisbon (Reform) Treaty to the German Bundestag. How the EU got it in the back door without the people’s permission and by ignoring the French and Dutch.